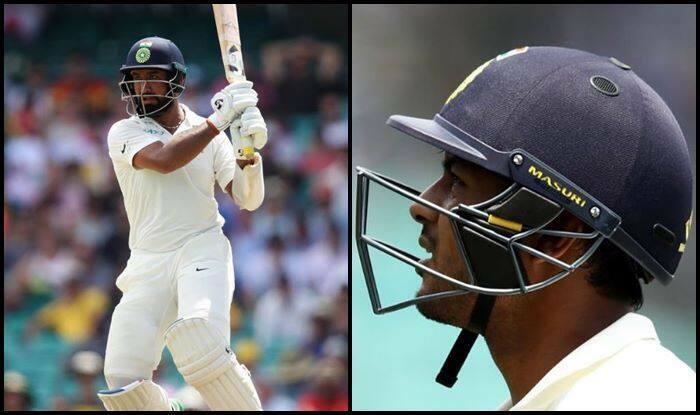 Some more exceptional batting effort from Cheteshwar Pujara and Mayank Agarwal helped India reach 177/2 at tea on the first day of the fourth and final Test against Australia at the Sydney Cricket Ground (SCG) on Thursday. India vs Australia 4th Test Sydney: Some more exceptional batting effort from Cheteshwar Pujara and Mayank Agarwal helped India reach 177/2 at tea on the first day of the fourth and final Test against Australia at the Sydney Cricket Ground (SCG) on Thursday. Resuming the afternoon session from 69/1, Pujara and opener Agarwal continued to play sensibly, taking their side past the 100-run mark in 30.1 overs. This brings Agarwal’s second consecutive half-century in the second match of his Test career. Whereas, Pujara again proving his worth by registering his 21st Test half-century and again driving India’s innings to a big score. Off-spinner Nathan Lyon gave the hosts some respite after breaking a well-settled 116-run partnership between Agarwal and Pujara, dismissing the former on his individual score of 77 runs. While trying to clear the fence, Agarwal miscued a delivery by Lyon and was easily caught by Mitchel Starc at the long-on boundary. The opener’s knock came off 112 deliveries, decorated with seven boundaries and couple of sixes. Agarwal’s fall saw skipper Virat Kohli joining Pujara in the middle and the duo added 51 runs for the third wicket in quick succession as India reached a healthy 177/2 with one more session of play left in the day. Kohli and Pujara were batting on 23 and 61 runs respectively at the tea break. Earlier, the visitors opted to bat and lost the only wicket of Lokesh Rahul (9) in the morning session. Brief scores: India 177/2 (Mayank Agarwal 77, Cheteshwar Pujara 61 batting; Josh Hazlewood 1/27) at tea on Day 1 vs Australia.